While many youngsters of the Eastside are contented with memories of having seen the Baltimore Orioles as they won the International League flag and the Little World's series last year, 10-year-old F. Donald Collins, of 519 N. Kenwood Ave., goes them one better. 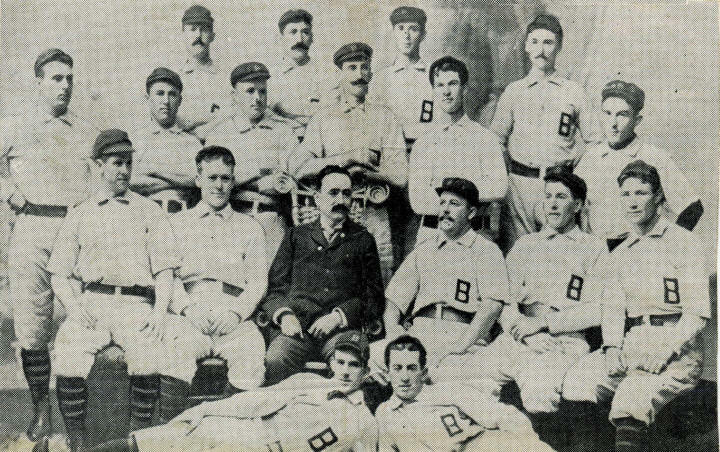 The son of Mr. and Mrs. Frank W. Collins, the lad is proud owner of a souvenir badge of the champion Orioles of 1894. he also has an engraved invitation from the directors of the Baltimore club to the opening game with Boston for the year of 1897. 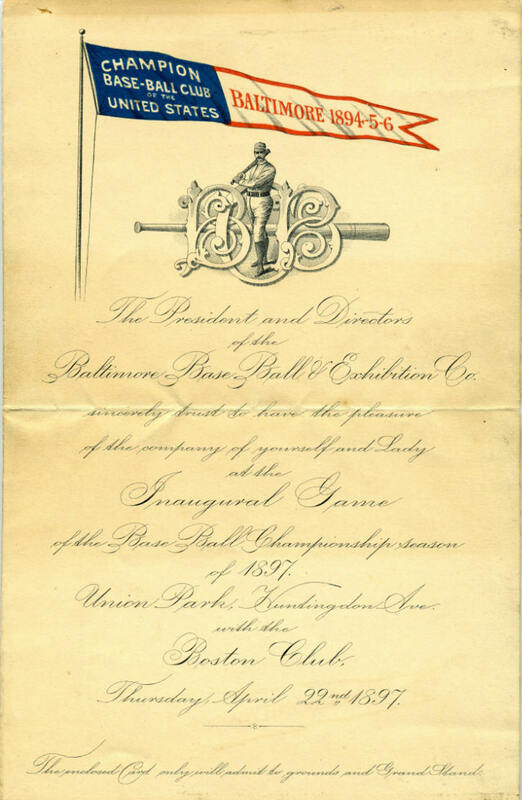 They were given to him by his great-uncle, Charles S. Reinhart of 620 Tunbridge Road, as a remembrance of his younger days when the Birds had a truly great ball club.